BYPARTING DOUBLE Z BARN DOORS! 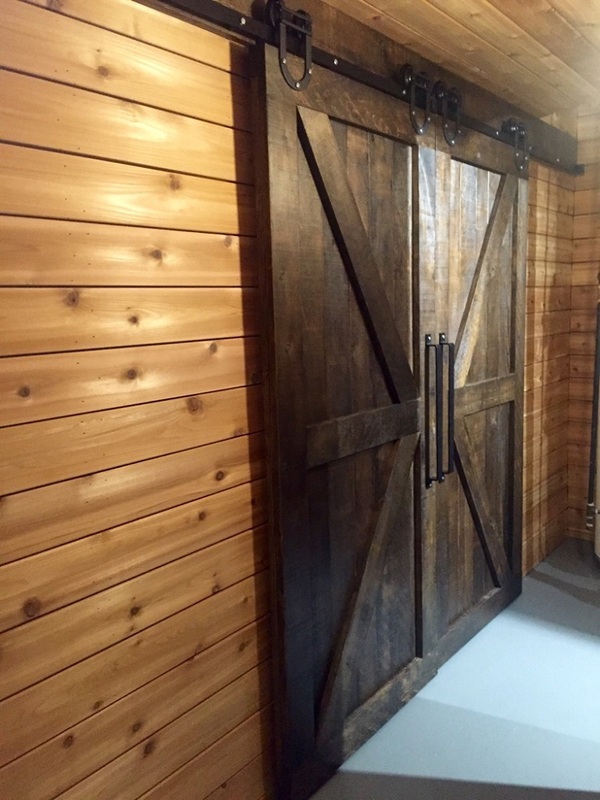 These Byparting Double Z braced barn doors look pretty great in this room with cedar cladding. They are teamed up with our Horseshoe Barn Door Hardware! For more info, call REBARN at 647-968-4004!